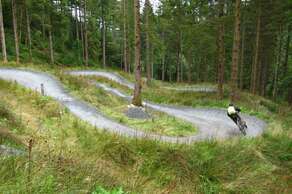 Beics Brenin is an purpose built mountain bike centre in the heart of the Coed-y-Brenin forest with routes from novice to expert including the notorious, and 1st ever purpose built MTB course, the Black Bull. If you do not have access to proper off-road MTB courses or want to have fun or test yourself this place is a must. There's a cafe and fully equiped Hire Shop onsite incase you do not want to bring your bike on holiday with you or fancy trying something with a different setup. The harder courses do require a competant bike plus armour and helmets. 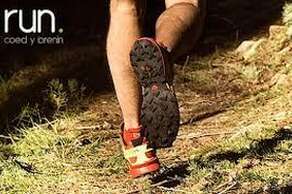 Run Brenin is the UKs 1st bespoke Trail Running Centre with everything from a gentle 2 mile run through woods to a half marathon trail. They regularly have classes and events and have a fully equiped shop onsite if you wish to replace or buy clothes and footwear. Click on the highlighted text to go to their site. Zipworld have made Snowdonia into an adults playground with multiple experiences dotted within easy access of Bod Gwynedd. Whether you fancy caving, underground trampolining, the worlds fastest Zipline or a tour around a slate quarry there is always something for the willing. Fforest - located on he outskirts of Betws-y-Coed, Fforest offers multiple adventures for the brave at heart! 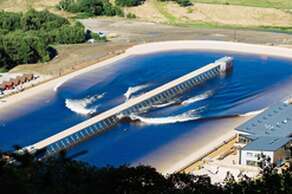 An artificial Surf lagoon located between Betws-y-Coed and Conwy offering predictable waves every few minutes. If you want to learn to surf, improve your surfing or just have fun for the day this is the place to go. A truely unique experience. Just 20 minutes drive along the beautiful Conwy valley from Bod Gwynedd.